To me flowers are a constant reminder that life is ephemeral, ever-changing, momentary and precious. 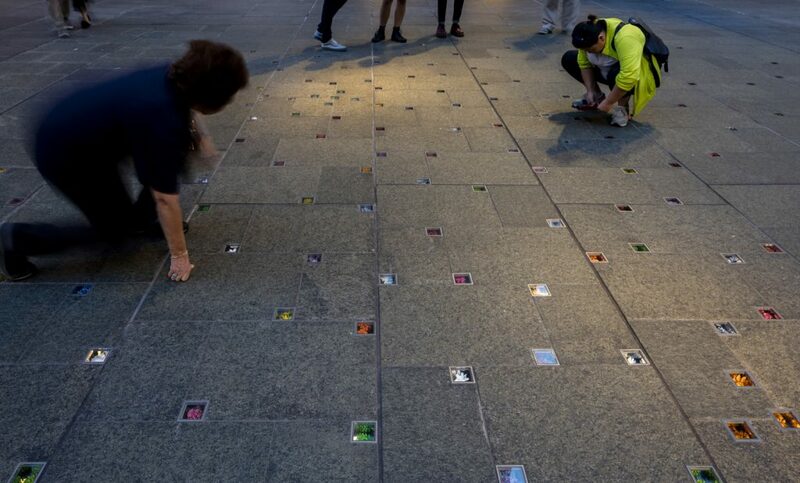 Reflection is a permanent public memorial designed by architect, Professor Richard Johnson AO, which captures the community’s spontaneous outpouring of grief and compassion in the aftermath of the Martin Place siege in December 2014. This artwork comprises 210 individual flowers, hand-crafted by Adelaide artist Jess Dare. 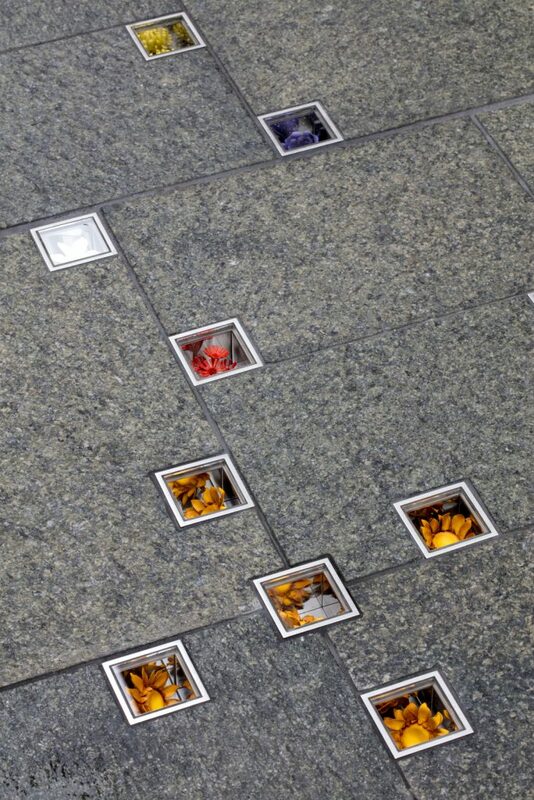 Together, these sculptures represent the sea of flowers that filled Martin Place in the days and weeks following the siege, and capture the carpet of colour and movement of the more than 100,000 bunches. 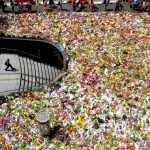 The centrepieces of Reflection are a cluster of aqua hydrangeas and another of yellow sunflowers, memorialising the two bright young Australians tragically killed in the siege, Katrina Dawson and Tori Johnson. 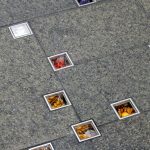 Each flower is contained in a cube embedded in the pavement in Martin Place between Castlereagh and Pitt streets, the site where the sea of flowers began. 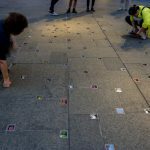 These cubes are scattered in a seemingly random pattern that captures the spontaneity of the sea of flowers as it gained momentum and grew through Martin Place. Reflection provides a space for quiet contemplation in the heart of our bustling city. The design embodies the way Sydney defied the horror of the siege with beauty and compassion and honours the memory of Tori and Katrina, who will live on through this stunning work of art. For further information regarding this art work please contact the Department of Premier and Cabinet. Jess Dare is an Adelaide-based contemporary jeweller and object maker. 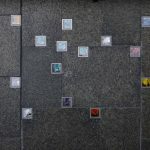 Since graduating in 2006 with a Bachelor of Visual Arts from the Adelaide Centre for the Arts TAFE SA she has developed a diverse practice specialising in both glass flameworking and metal. 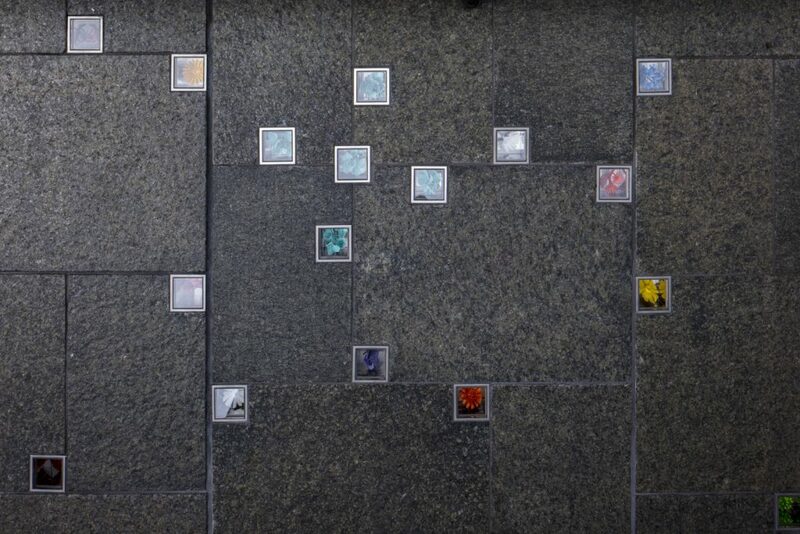 She exhibits nationally and internationally and is represented in major national collections including the National Gallery of Australia, Art Gallery of South Australia and the National Glass Collection. In recent years Jess has undertaken residencies in Bangkok, Thailand (2014) and Shanghai, China (2015). Jess is influenced by nature, botanical specimens and memory. She uses nature as a metaphor to investigate concepts of the fragility and transience of memory. Richard Johnson was awarded the RAIA Gold Medal in 2008, a Life Fellow of the Institute in 2012, a Life Governor of the Art Gallery of NSW in 2012, and a distinguished Alumni Award from UNSW in 2013. In 2014 Richard was awarded an Order of Australia for distinguished service to architecture, to the visual arts and the museums and galleries sector. Richard is a founding Director of Johnson Pilton Walker. He is also a founding Director of the Australian Architecture Association (AAA) and is on the Board of the Australian Technology Park. Richard serves on the City of Sydney Design Advisory Panel and the Public Art Advisory Panel. 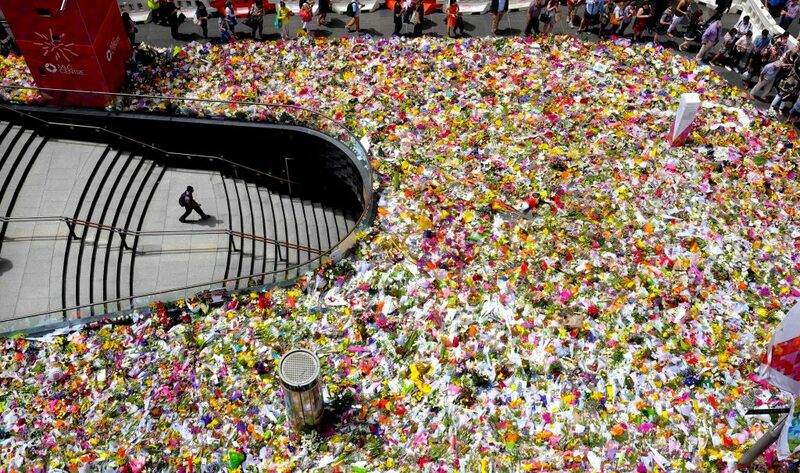 In January 2015, former NSW Premier Mike Baird announced a permanent Memorial to recognise those affected by and involved in the Martin Place siege, and to acknowledge the spontaneous public outpouring of sympathy in the days following. The design by Professor Richard Johnson AO MBE, was selected following a competitive design process, facilitated by the Department of Premier and Cabinet. The Memorial design panel included representatives from the Department of Premier and Cabinet, the NSW Government Architects Office, the City of Sydney and the Museum of Contemporary Art. The Memorial is funded and managed by the Department of Premier and Cabinet.